A highly controversial proposal by an unknown and newly registered company, Caballus Mining is attempting to grab a complete monopoly over all large scale mines in Bougainville. “Are Caballus the next rogue that is trying to take advantage of us, the customary owners and steal our minerals?” questioned Mr Philip Miriori, chairman of the Special Mining Lease Osikaiyang Landowners Association (SMLOLA). Mr Miriori further claimed that Caballus have no relevant mine development experience whatsoever. Mr Miriori said that when Caballus was presented to representatives of SMLOLA earlier last year, they were officially rejected in writing. SMLOLA special adviser Lawrence Daveona said by avoiding all the protection afforded to them under the BMA, which is fundamental to the whole peace agreement and their constitution, in fact the very grant of autonomy…it will strip them off their rights. Mr Miriori said it appears some people are trying to take advantage of a severe funding crisis which their government faces in the lead up to the referendum on Bougainville so are promising money but only if they are first given the keys to every large scale mine in Bougainville with zero up-front investment…is unbelievable. 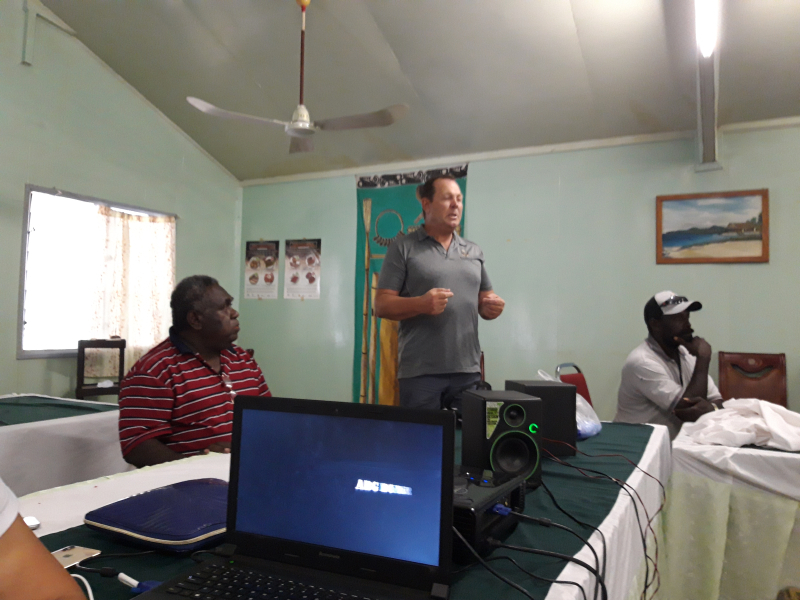 A forum was held on Sunday afternoon, 3rd February, at Arawa Town Market by ABG Parliamentary Committee Comprising of all-male committee namely, RODNEY OSIOCO and member for Kokoda, Chairman. JOHN VIANNE KEPAS and member for Makis, member, CHRISTOPHER KENA and member for Lato, member, THOMAS KERIRI and member for Rau, member, and EZEKIEL MASSAT and member for Tonsu and Chairman of the Public Accounts Committee. 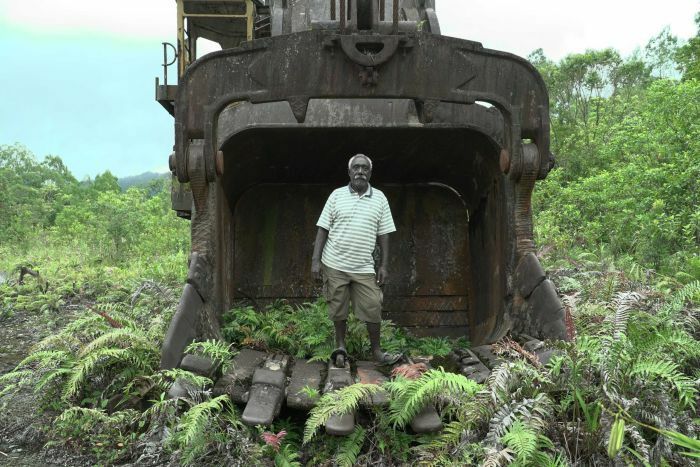 The bills in question which have already gone through the first reading are the Bougainville Advance Mining Holdings Trust Authorization Bill, Bougainville Advance Mining Holdings Limited Authorization Bill, and a Bill to amend the Bougainville Mining Act 2015. All bills were introduced by the Autonomous Bougainville Government at the request of Jeffery McGlinn of Caballus Mining who is has also proposed to ABG to grant him and his company the authority over all mining interests on the island. According to New Dawn FM, The legislation committee in the Bougainville House of Representatives took ownership of the three government bills after they were referred to it by the House on Wednesday 30th January 2019. Speaking earlier on New Dawn FM, Chairman OSIOCO said, the Legislation Committee shall exercise its functions and powers to ensure that the parliamentary procedures and practices are exercised independently which will also provide an opportunity to citizens and public and private organizations to have a say on the proposed laws being proposed by the Executive Government. He said, the two weeks, work plan for the legislation committee will be published once endorsed by the legislation committee.This will include dates and venues where the committee will visit and make it-self available for people to submit their views on the proposed laws sponsored by the executive Government several ABG Ministers and Members of the Members of the ABG House of Representatives namely led by the Chairman and Member for Kokoda Constituency Rodney Osioko. This is the first of the series of to gauge the views of the general public on the passing of three controversial bills by the Autonomous Government. The forum at Arawa drew a very strong opposition from members of the civil society to the 3 mining bills that have already gone through the first reading at the ABG Parliament. 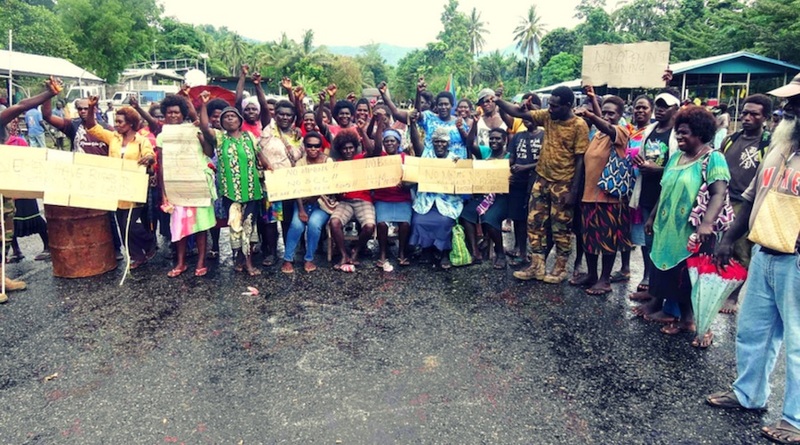 All community governments, women and youth and those opposed to large scale mining on Bougainville requested that the bills not be entertain and be thrown away. The reaction from the crowd who attended the meeting was one of disbelief and anger and some of them could be heard shouting in support of calls to stop the bills by the speakers at the forum. Former banker and ABG Member Mathias Salas told the forum to be wary of the situation because if they were not careful, under expropriation laws the government and the President can steal the land from land and resources owners. He said that the introduction of the bills was an example of what can happen. Lawrence Daveona of Special Mining Lease OsiKaiyang Landowners Association drew forum’s attention to the how much of the ABG Bougainville Mining Law had been affected by draft the amendment done by lawyers in Australia already for Jeffery McGlinn of ‘Caballus Mining’ on whose request ABG had introduced the bills. Chairman of the Bougainville Hardliners Group which is opposed to any form of large scale mining call on the ABG and general public to fund the referendum from own pockets by donating twenty kina each meet referendum expenses. “Lets show Papua New Guinea that we are independent by funding our referendum”, he said. His call was supported by CLC Pastor Munau who said that those who are oppose to Bougainville’s independence are trying to cause confusion so the right thing to do is put any amount of money from heart towards referendum. A the end of the meeting a resolution was passed to block the bills from being passed in by ABG. HOW CAN BOUGAINVILLE COPPER LIMITED BELIEVE WE AND OUR AUTONOMOUS BOUGAINVILLE GOVERNMENT WILL FALL FOR MORE OF THEIR FALSE CLAIMS OF RESPECT FOR BOUGAINVILLE AND ITS PEOPLE? 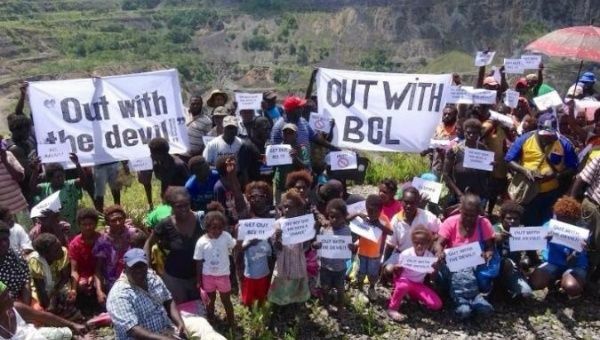 Why did BCL not work with the ABG in advance to ensure they could have their say at the meeting if they are genuinely trying to mend fences with Bougainville and lose their mantle of being a PNG controlled company?” asked Mr Philip Miriori, the Chairman of the Special Mining Lease Osikaiyang Landowners Association (“SMLOLA”). Then there is the false attempt to blame third parties for the opposition by the Panguna Customary Landowners: this reflects the continuing failure on the part of BCL to even acknowledge the historic environmental havoc wreaked on the Panguna Land by BCL and the role of BCL in the devastating conflict in Bougainville. “Do they think we have forgotten or forgiven – no never” says Mr Miriori. Mr Miriori said “it was outrageous that BCL untruthfully claimed it held unanimous Landowner consent when there was an existing petition with more than 2,000 SMLOLA members rejecting BCL’s return to Panguna. BCL has insulted the Customary Landowners by referring to them as ‘impediments to be removed’ and more recently, ‘disruptive influences’. This shows a contempt for the rights of Customary Landowners and the people. President Dr John Momis of the ABG stated on 8 January 2018, in a public interview with the Australian Broadcasting Corporation, that the BCL Application had been denied by the ABG because of the Panguna legacy Issues and consequently the inability of BCL to gain a social licence. He observed BCL’s attitude towards Customary Landowners had not changed and therefore that BCL did not deserve an extension. It was noted that at the Warden’s Hearing in December 2017 almost all those who spoke referred to these significant and continuing legacy issues and the need for BCL to pay compensation. President Momis was entirely correct in his observation and the recent statements by BCL’s Chairman show a contempt not only for the Customary Landowners but also for the ABG itself. Mr Miriori agreed saying “BCL was the tenement holder during the time which systemic damage to the environment and river systems occurred. 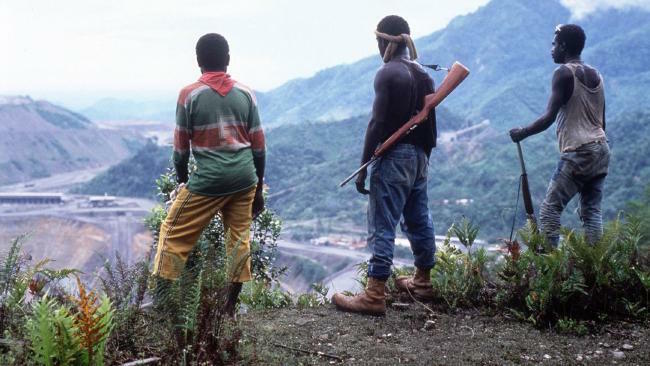 The Panguna mine was at the centre of the conflict.” It is reported 20,000 Bougainvillean people died in this conflict. This is the incontrovertible factual truth of BCL’s legacy. These events are of global significance and to this day are fundamental to the vast majority of the Panguna Customary Landowners and Bougainvilleans opposing BCL’s return. As the highly respected community leader, Mr Sam Kauona said at the Warden’s Hearing, BCL can never be allowed to return to Panguna. The petition opposing BCL’s return has more than 2,000 supporters. The majority of those attending and speaking at the independent Warden’s Hearing in December 2017 opposed BCL’s return. The Special Mine Lease Osikaiyang Landowners Association Inc has expressed disappointment with Bougainville Copper Ltd’s conduct. In a statement, SMLOLA chairman, Philip Miriori, and his advisor Lawrence Daveona say BCL has shown that they have not changed or learnt any lessons “from the tragic history they put us through”. “The Warden’s Hearing could not have been a stronger message from our community – BCL is not welcome at Panguna ever, yet they try and say they have majority landowner support. “Respect the call of the people and the Government and leave. The following comments are in response to the 2017 Annual Report of BCL which was released to the Australian Stock Exchange recently. They now try and cry wolf saying they have been treated unfairly and actually have strong landowner support despite the obvious facts. How naïve do they think the landowners and the ABG are? “I know BCL well, I sadly supported them for 34 years till 2017 but I have now seen the truth. 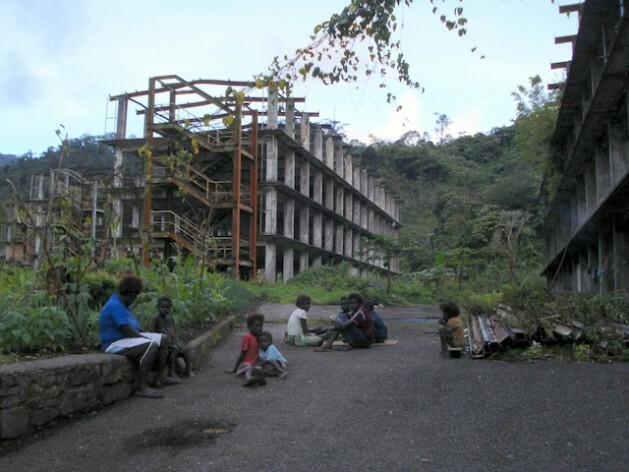 “The Annual Report accuses the ABG of expropriating BCL’s Panguna mine assets in breach of the Bougainville Copper Agreement Act 1967; the same Bougainville Mining Act that they were happy to take advantage of and use to prolong their involvement in Panguna. The landowners have made their choice on the redevelopment of Panguna and are committed to working with the ABG to implement a successful new mine that will benefit all Bougainvilleans.